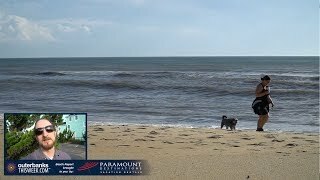 First Flight Rentals specializes in premier condominium vacation rentals on the Outer Banks with more than 100 to choose from across 12 communities. Properties include the oceanfront condos at First Flight Retreat, Croatan Surf Club, Seven Cs and Sea Ranch Resort in Kill Devil Hills. Rent beautiful soundfront condos at Rodanthe Sunset Resort or Waves Village Resort on Hatteras Island, one of the best kiteboarding resorts on the East Coast. Enjoy the comfort of these well-appointed one-, two- and three-bedroom condos for your next weekly or partial-week rental. Resort amenities include indoor and outdoor pools, fitness centers, private hot tubs, balcony terraces, elevators, oceanfront/soundfront views, onsite watersports, restaurants and more. Pets are welcome in many condos. Great wedding venues and group rentals are also available.